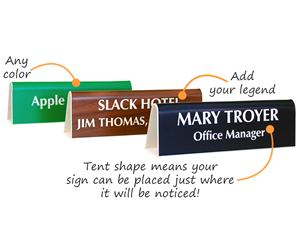 Customize your business with our table top signs. Engraving on both sides lets you spot your legend from any direction. 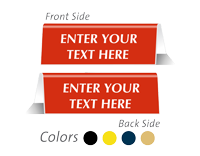 • Choose from 16 different designer colors. 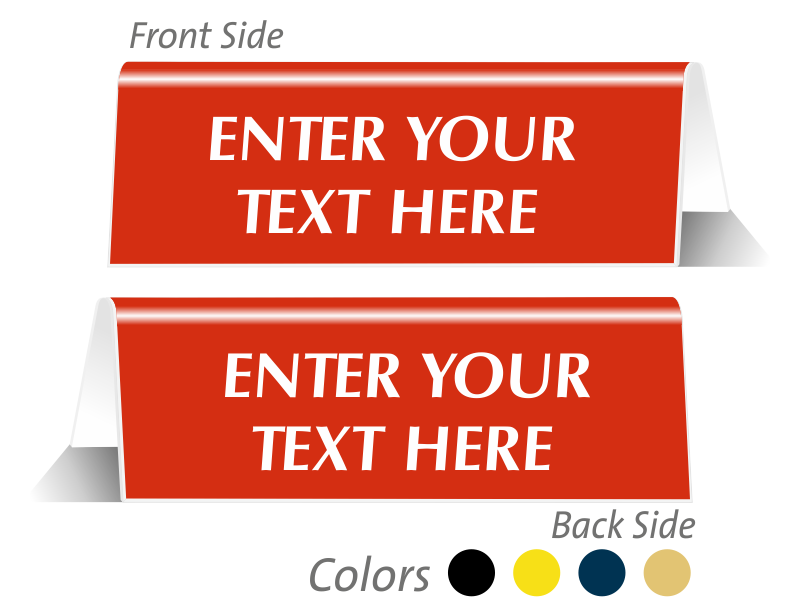 Signs are elegantly engraved in a range of decorator colors. You may choose a color to match your interior décor. 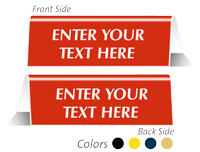 • Table top signs provide an on-the-spot reminder of your policies. Use for a reception desk, restaurant table, or counter top. Find over 80 different stock legends – affordable ready for quick ship. 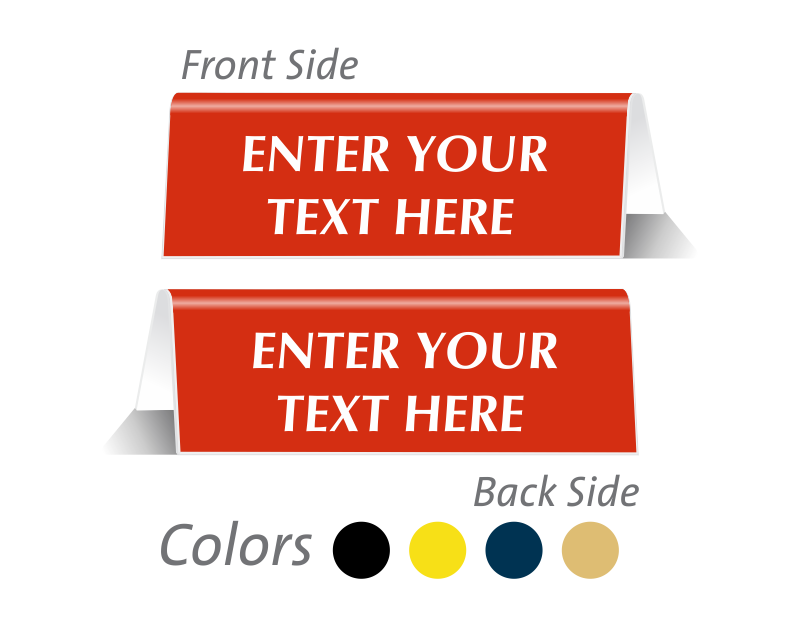 Choose Your Graphic and Text. Came quickly and appeared as I expected. Easy process. Sturdy well made tent sign. Fast delivery, great item! Great job. Fun reaction of recipient.